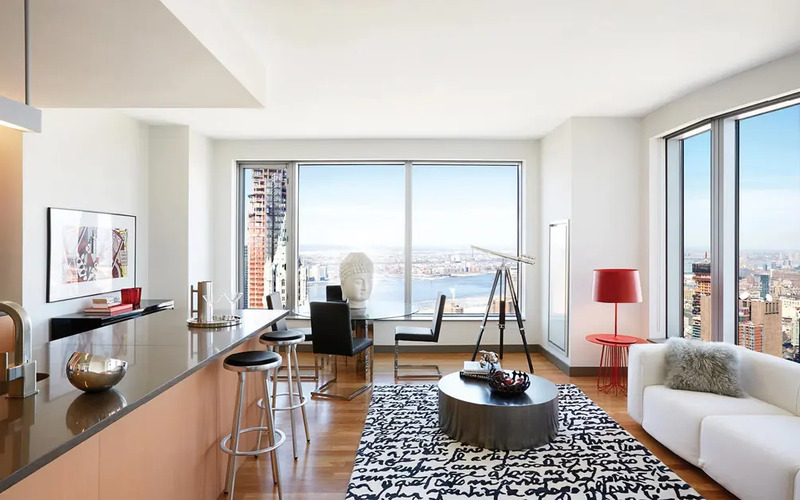 At 870 feet tall, the 76-story tower at 8 Spruce Street - known as New York By Gehry - was the tallest residential structure in the Western Hemisphere when it opened in 2011 and it has a timeless façade of "stainless steel cladding draped like fabric." 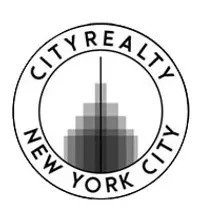 The tower was developed by Forest City Ratner and designed by Frank Gehry, a winner of the most prestigious award in the field of architecture, the Pritzker Architecture Prize. The architect Frank Gehry, perhaps known best for the iconic design of Guggenheim Museum Bilbao, was commissioned for this project (his first residential commission for the city) and created a building that shimmers and catches the city's changing light. 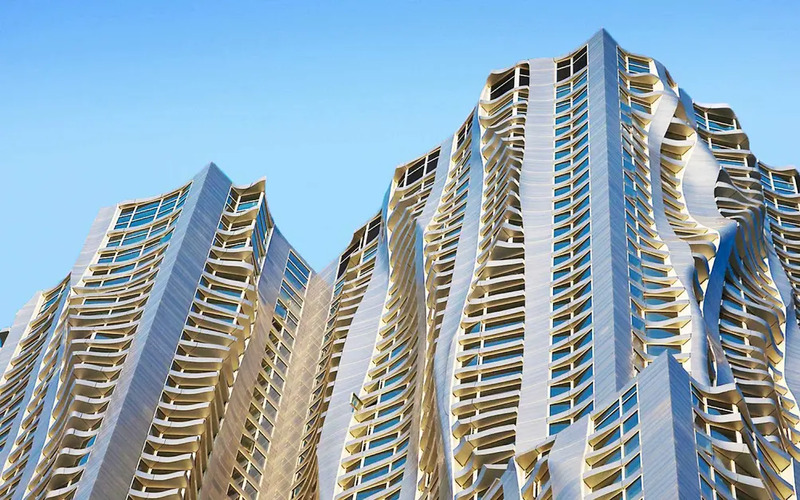 Located in the Financial District just south of the Manhattan entrance to the Brooklyn Bridge, New York By Gehry has 904 residential units with up to three bedrooms - all inside a building that has been a welcomed addition to the New York skyline. Let's take a look inside. 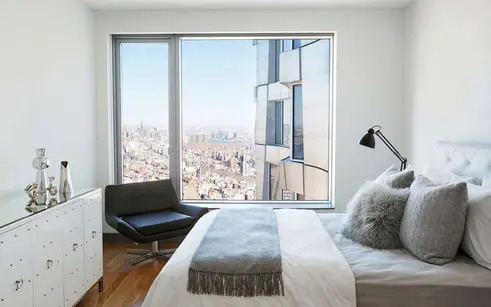 "I designed a building I would want to live in as a New Yorker," Gehry has said, and these light-filled residences surround you with stunning views of the city. Most floors offer homes in studio to 2 bedroom layouts but on floors 40 to 76, there are larger family-friendly 2 and 3 bedroom layouts. Units are currently available and listings offer 1 month free with new leases; studios start at $3,020/month, 1 bedrooms at $3,650/month and 2 bedrooms at $6,325/month. The building's façade creates floor-to-ceiling bay windows and living spaces have 10-foot-high ceilings along with motorized shades, and lighting and dimming systems. Gehry selected all interior finishes and fixtures including including the white oak plank floors and the entry doors in his signature honey-colored Douglas Fir. Baths are sanctuaries lined with honed limestone floors and walls, radiant heated flooring, glass enclosed shower/tub and custom vanities. Many homes have private terraces or balconies. In many homes, kitchens are the hub and this is true for the residences at 8 Spruce Street. 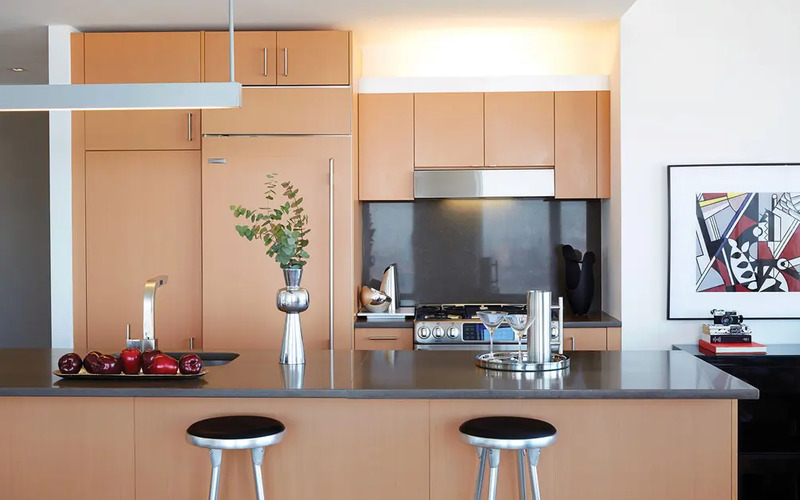 Luxury kitchens are spacious and outfitted with grey oak custom cabinetry and marble flooring, linen Caesarstone countertops, Sub-Zero refrigerators with wine refrigerator, Miele cooktops and double ovens. Convenience is key with sink disposal and a paneled dishwasher. For larger events, you can entertain in elegance inside the building's shared drawing room with a grand piano and views overlooking City Hall Park. There is also a dining room which can be reserved by residents for private events. The building has 22,000 square feet of amenities beginning with a lobby that features a custom sculptural concierge desk. 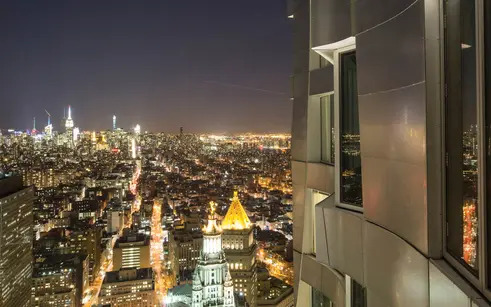 There is a 6th-floor grilling terrace with stunning views of the Woolworth building; a game room has billiard tables, gaming consoles, golf simulators and custom furniture by Gehry; the screening room has free-form amphitheater-style seating. 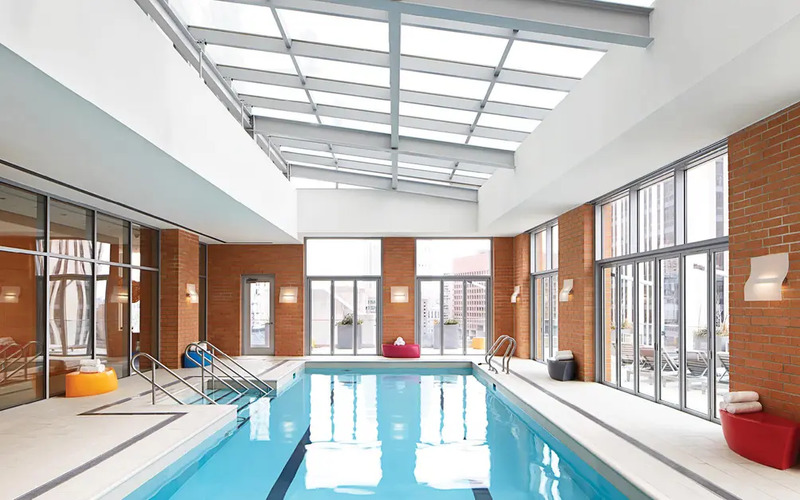 On the 7th floor, luxurious amenities include the 50-foot sky-lit swimming pool surrounded by fully retractable glass doors creating an indoor/outdoor wraparound sun deck. There is a fitness room with views of the Brooklyn Bridge, a library, a children's playroom, and a spa treatment room. There is full-service concierge and on-site valet services. Unsurprisingly, views are impressive from 870 feet in the air. 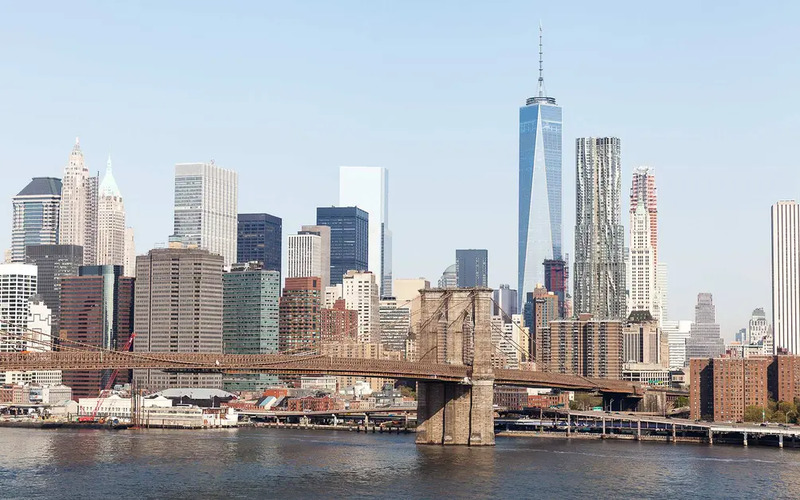 Living here allows residents to watch New York change throughout the day while also gazing and iconic buildings like the One World Trade Center and the Chrysler Building, to the historic Brooklyn Bridge, and on to New York Harbor, the Long Island Sound and even the Atlantic Ocean.